When I visit Rosemary, a family friend and my favorite massage therapist, I like to explore her giant carrying case of essential oils. Until recently, my knowledge of them has been limited, but my curiosity has always been high. Through this treasure trove of sacred oils, I discovered my love of red mandarin oil, the complex sensuality of ylang ylang, and the deep soulfulness of frankincense. This exploration awakened my latent interest, sparking into a new passion for me. I think I share similarities with others who are interested in essential oils but haven’t taken steps forward to learn more: 1) I felt overwhelmed by all the choices and didn’t know where to start. 2) I had a lot of other interests I was already invested in at any given time. 3) They are a serious monetary investment if you want the good stuff. And believe me, you want the good stuff! At some point, a company named Well Scent came onto my radar. I’d browse their selection, making “want” lists to keep in my pocket for a rainy day (the rainy day being: I need something more for my health right now and I’m ready to make this investment). That moment came this past November, when my health went topsy-turvy crazy, worse than it had in ages, and I wanted to find some extra emotional support to keep me motivated in recovery. 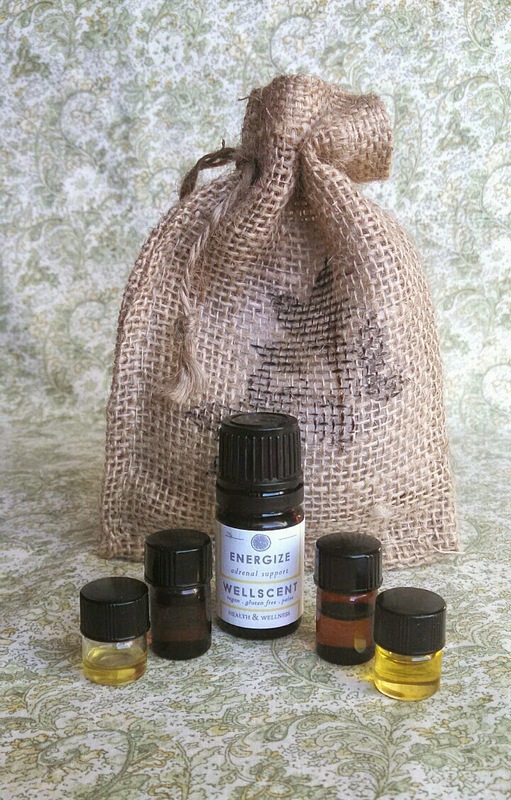 Their emotional blends all seemed appealing to me, but since I was such a newbie to essential oils, I didn’t want to get the wrong things. Before I get to my review of the sample set, let’s take a look at the company itself. I had the pleasure of corresponding with both Stacy Shuman (the founder) as well as Candice (communications specialist). They were both so warm, caring, and open when I explained my reasons for wanting the support of their essential oils. Reading more about them on the website, I found out that they have both had their lives change dramatically from a Late Stage Lyme Disease diagnosis. Stacy used essential oils to aid in her healing. 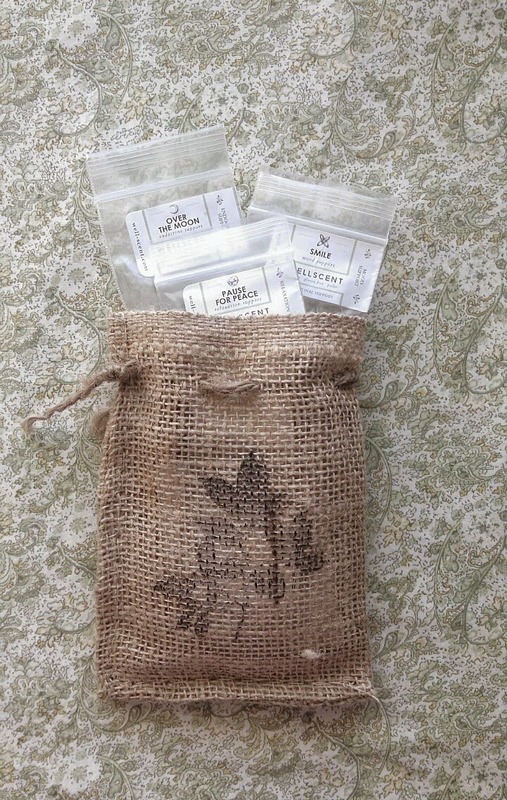 She was first trying to help her own body to heal, and the resulting positive impact led to starting this business so that she could share her blends with others. So cool! Anyone who has faced chronic illness can tell you there are a plethora of scam artists, magic cures, and perfect supplements out there that will “fix you overnight!”. What makes Well Scent so great is that they are not trying to sell crap as a miracle, far from it. They are selling top-notch high-quality oils that are carefully balanced and formulated into the blends they offer. Plus, I could feel that they have that sense of connection/sisterhood/kinship with others who have health issues, that “we are all in this together!” mentality. It’s named perfectly because I can’t help but smile when I get a whiff of it. Jasmine has always been one of my favorite scents, so it’s not surprising that I love this one. 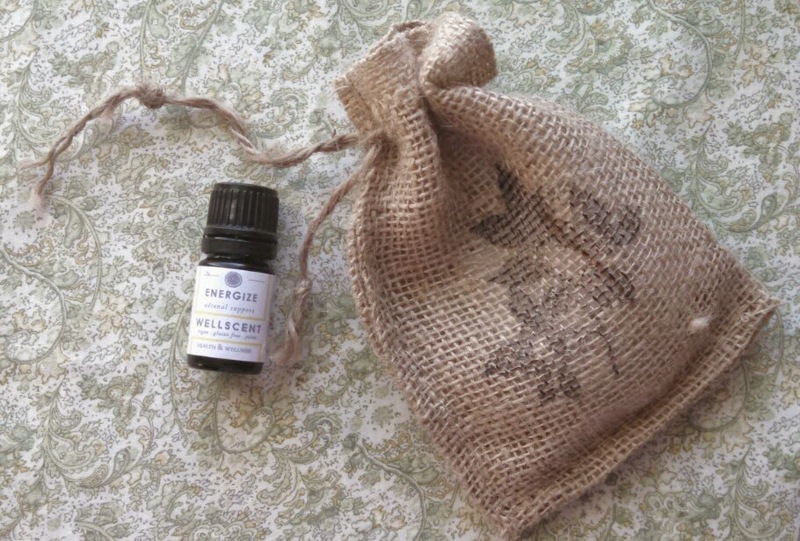 Geranium, sandalwood, bergamot, and a few other oils round out this perky blend. This one is my favorite oil to wear as a perfume. Also, I took a cue from their suggested applications and dab some on my scarf when I go out. It helps me to be happy and loving in my interactions even if I happen to feel like a big ol’ grump that day. Rose, vanilla, cardamom, and sandalwood are a few of the oils that make up Pause for Peace. This, this, is my blend when I’m feeling frazzled and anxious or if I need a gentle nudge to sleep. It is so extremely soothing. It’s a warm embrace in a bottle. I feel like it wraps me up in a luxurious cocoon and lulls me into a calm state of being. Peaceful mind, peaceful body. On first impression, this is the blend that I was least attracted to. However, now it’s the one I am reaching for the most. I see it as somewhere between Smile and Pause for Peace, and if you look at the ingredients (like rose, bergamot,…), you’ll see that it has a little bit of both of them. When I want to feel both uplifted and relaxed, supported and empowered, spirited and grounded, I anoint myself with Over the Moon. Stacy was wonderful to send me an adrenal support blend because I’d told her about my health challenges and she felt strongly that it would help. She was right! The instructions say to use 3-4 times a week, so I put it on every other day. What is unique about this oil is that I can apply it directly to my lower back, and it bypasses the gut and goes directly where it needs to go. I’ve noticed an obvious boost in my energy, especially on the days that I use it. I am so thankful that I have this healing tool in my arsenal. It’s proved indispensable for me and where I am right now. Thank you, Stacy and Well Scent! I totally have my eye on a couple of their products I’d like to try next including: Glow radiant serum, dental support products, and anti-microbial and immune-supportive blends like Renew and Mold Plus. I’d wholly recommend you try out Well Scent products, not only for the stellar oils and knowledge of holistic health, but also because you can feel good about supporting a company that puts such integrity and care into the work that they do.